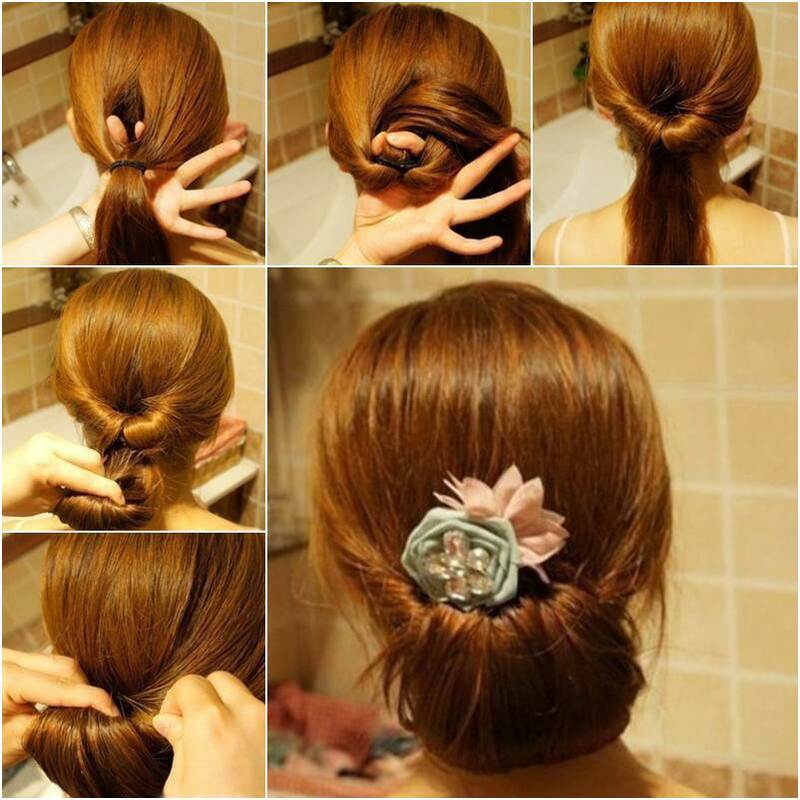 Here is a nice DIY project to make easy twisted hair bun hairstyle. It looks elegant and original. It works for medium to long hair. It’s great for work, a gathering with friends and many other occasions. Most important of all, it’s very simple and quick to make. You can make it in less than 1 minutes once you master the technique. Next time if you are running late for school or work, but still want to look impressive and gorgeous, definitely try this hairstyle. Enjoy! 1. Comb your hair, collect it to make a ponytail and secure with an elastic. 2. 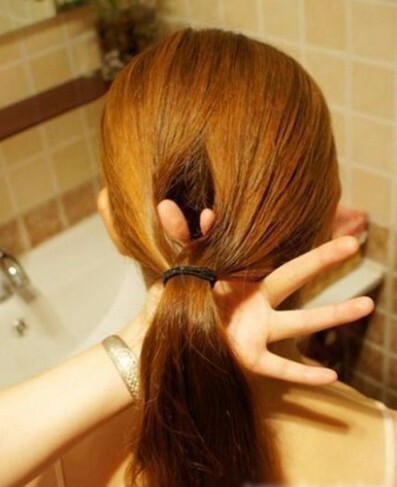 Place your fingers underneath the base of the ponytail, divide the hair and flip the ponytail inside through the hole. 3. It looks like this. 4. 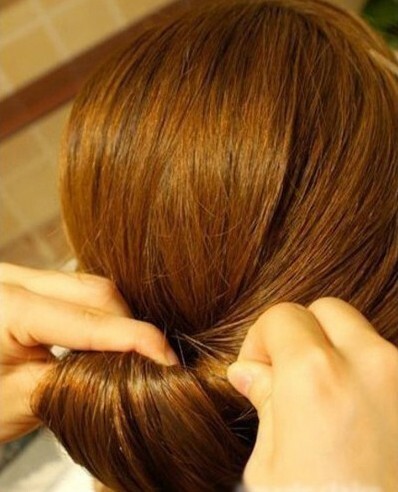 Fold the remaining hair towards the base of the ponytail. 5. 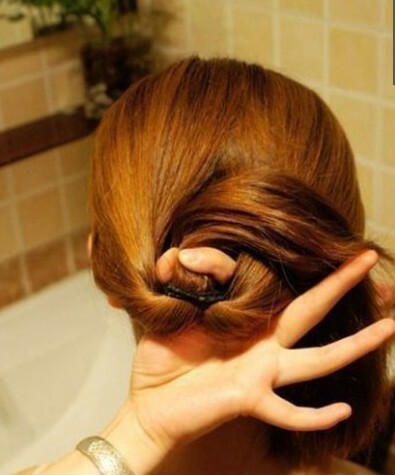 Keep folding to form a bun and secure it with bobby pins. 6. 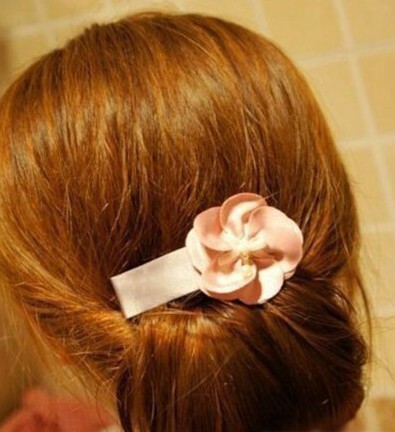 Attach a pretty ribbon flower hair clip. 7. Try a different ribbon flower hair clip. Done! Enjoy!